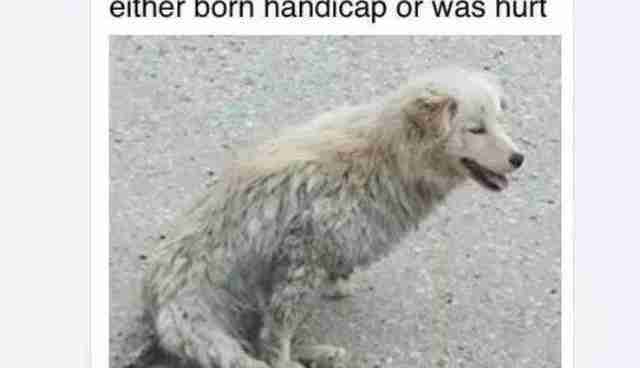 It started with a picture snapped on a cellphone -- a low-res photo of a dirty, injured dog dragging its back legs through gravel. But a smartphone is a powerful tool in the hands of animal rescuers, and social media shares quickly turned into real-world action. 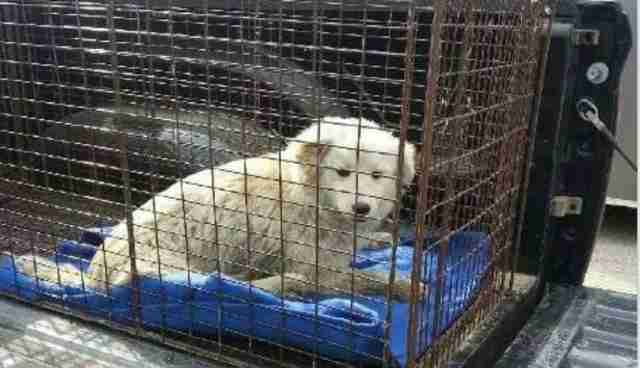 On July 9, volunteers at Hope Lives Here Animal Rescue received the grainy picture of a dog clearly in distress. They knew this animal was in urgent need of help, but they had obstacles in getting to the dog, who was located more than five hours north of Hope Lives Here's Red Deer, Alberta base. "As soon as we saw it, it was important that we try to help as much as possible," explains Jessica Nagorski, founder of Hope Lives Here. 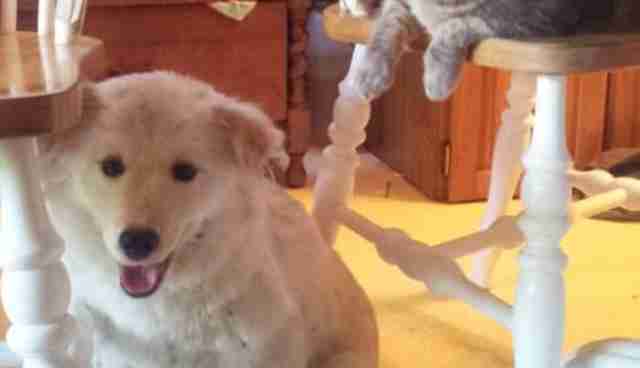 "We quickly called a foster home and had someone go and look for the dog. But it wasn't found that night," Nagorski explains. In an effort to get the word out about the dog, Hope Lives Here posted a screenshot of the message to their Facebook page, which has more than 3100 followers. 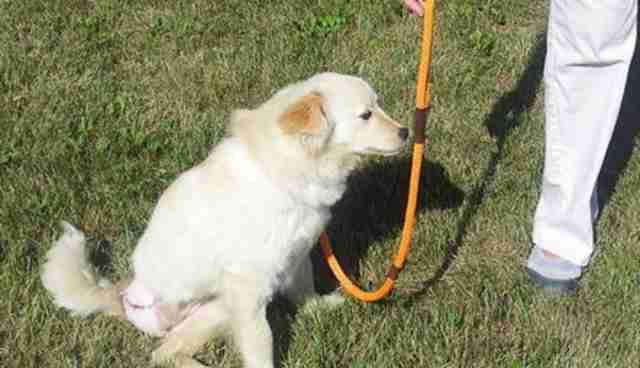 "We have thousands of supporters on our page and once the word got out that this dog was in need, we had people offering to go and get the dog all the way from Calgary," says Nagorski. There were people much closer who were able to help -- people like Cheryl Wood, who runs In The Woods Animal Rescue, just south of Peace River, Alberta. 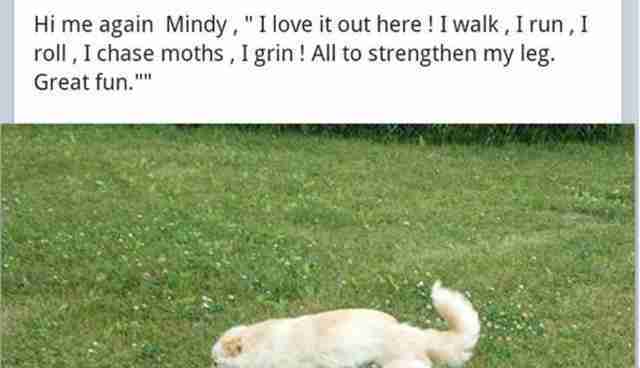 Her organization joined the search and within 48 hours a volunteer was able to find and rescue the dog, who is now named Mindy. Volunteers say she may never have gotten help if her picture hadn't been posted. After Mindy's arrival, her age was estimated at just six or seven months old. A vet established a treatment plan for her broken bones, and Mindy was introduced to her new foster home (and new foster siblings). 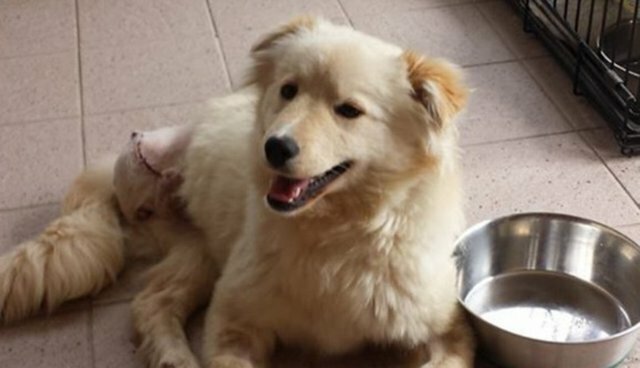 At last, this pup had found a place where she could finally heal. 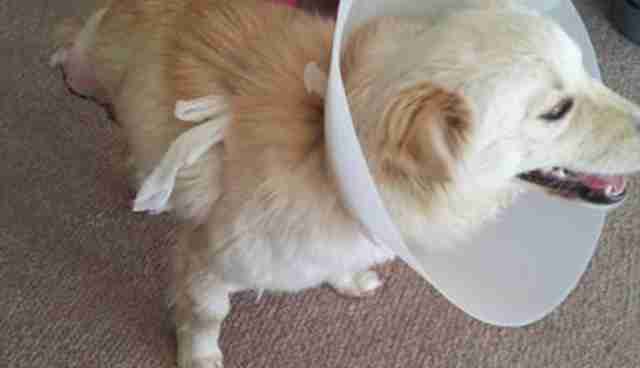 Mindy had extensive injuries to her back legs, and some injuries to her pelvis. All the injuries had been left untreated, but remarkably, one of the legs had healed well enough to be saved. Mindy's vet confirmed the other leg needed to be amputated. "Despite her fears, despite being alone and homeless for so long, she is a happy, loveable little dog," says Cheryl Bastien, secretary for In The Woods Animal Rescue. The rescue says Mindy will remain in her foster home for a long time as she learns to adapt to life as a tripod. She's still not quite ready for adoption, but that's not stopping her Facebook fans from asking when she'll be ready for a forever home. With several people asking after her, there's no doubt Mindy will have a great home when the time comes for her to leave foster care. She makes regular appearances on the rescue's Facebook page, as her foster person keeps everyone updated on her progress. Mindy's rescue started with social media, and now her success is being shared through the same medium. The founder of In the Woods Animal Rescue, Cheryl Wood, says the technology is priceless. Mindy isn't the only dog to benefit from the instantaneous sharing of information. "It's awesome. We've saved a lot of lives that way."